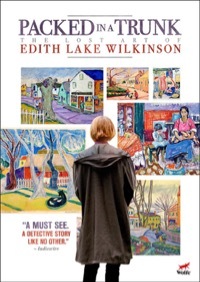 PACKED IN A TRUNK is the story of artist Edith Lake Wilkinson, committed to an asylum in 1924 and never heard from again. All her worldly possessions were packed into trunks and shipped to a relative in West Virginia where they sat in an attic for 40 years. Edith's great-niece, Emmy Award winning writer and director Jane Anderson, grew up surrounded by Edith's paintings, thanks to her mother who had gone poking through that dusty attic and rescued Edith's work. The film follows Jane in her decades-long journey to find the answers to the mystery of Edith's buried life, return the work to Provincetown and have Edith's contributions recognized by the larger art world.